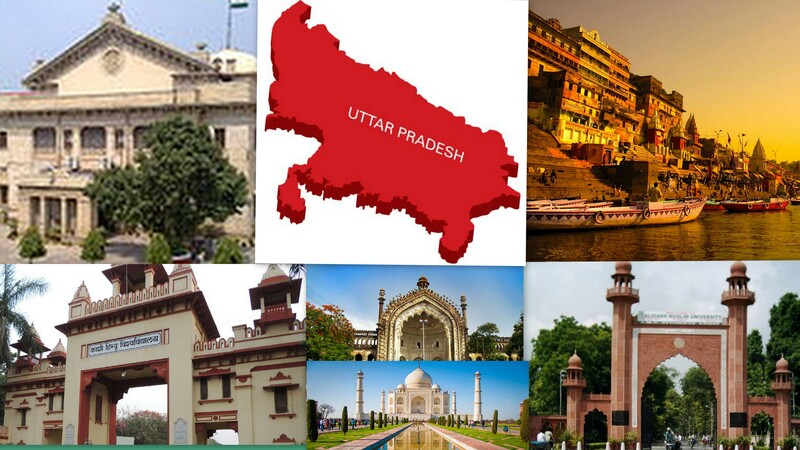 Uttar Pradesh (UP) is a state located in Northern India. 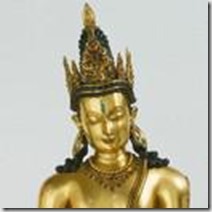 It was created on 1 April 1937 as the United Provinces, and was renamed Uttar Pradesh in 1950. Lucknow is the capital city of Uttar Pradesh.It is bordered by Rajasthan to the west, Haryana and Delhi to the northwest, Uttarakhand and the country of Nepal to the north, Bihar to the east, Madhya Pradesh to the south and touches the states of Jharkhand and Chhattisgarh to the south east. It is a land where the multi-hued Indian Culture has blossomed from times immemorial and also has been the area of activity of historical heroes like – Rama, Krishna, Buddha, Mahavira, Ashoka, Harsha, Akbar and Mahatma Gandhi.. Blessed with a variety of geographical land and many cultural diversities, for example- rich and tranquil expanses of meadows, perennial rivers, dense forests and fertile soil. Dotted with various holy shrines and pilgrim places,full of joyous festivals, it plays an important role in the politics, education, culture, industry, agriculture and tourism of India. Principal Crops Paddy, Wheat, barley, Millet, Maize, Urad (Black Gram), Moong (Green Gram) Arhar etc. Principal Minerals Lime-Stone, Dolomite, Soap Stone, Gypsum,Bauxite,Glass-sand, manganese, Non-plastic fire clay etc. Principal Handicrafts Chikan-work, Embroidery, wood work, wooden toys and furniture, Clay -toys, carpet weaving, Silk & Brassware work. Principal Folk Dances Charkula, Karma, Pandav, Pai-danda, Tharu, Dhobia, Raai, Shaira etc. Tourist & Historical Places Piparhava, Kaushambi, Shravasti, Sarnath (varanasi), kushinagar, Chitrakoot, Lucknow, Agra, Jhansi, Meerut etc.